The 2018 Emmys are in full swing at the Microsoft Theater in Los Angeles tonight, September 17th. From Killing Eve actress Sandra Oh’s stunning red dress to Black-ish star Jenifer Lewis’s Nike ensemble that payed homage to Colin Kaepernick, we saw so many notable fashion moments on the red carpet. Among the sea of yellow frocks dominating the red gold carpet were a slew of stunning white dresses. Let’s be real—they are the stuff of our wedding dress dreams. Check out these 2018 Emmy looks that will inspire your bridal gown fantasies. 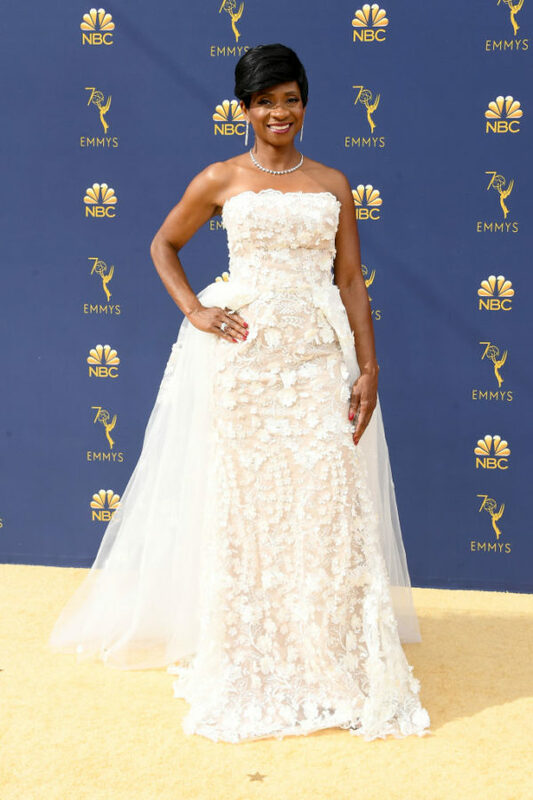 This is the “Good Place.” At the 2018 Emmys red carpet, Bell wore a stunning Solace London white gown with sleeves. The boatneck top is giving us Meghan Markle wedding dress vibes, too. Godless actress Elisa Perry donned the white dress of your wedding dreams at the 2018 Emmys. The Sinner actress stunned a Ralph & Russo white strapless gown that had a billowing mini-train on the Emmys red carpet. Black Panther icon, Angela Bassett, turned heads with her dramatic strapless gown at the 2018 Emmys. RIP to every other dress at the ceremony. 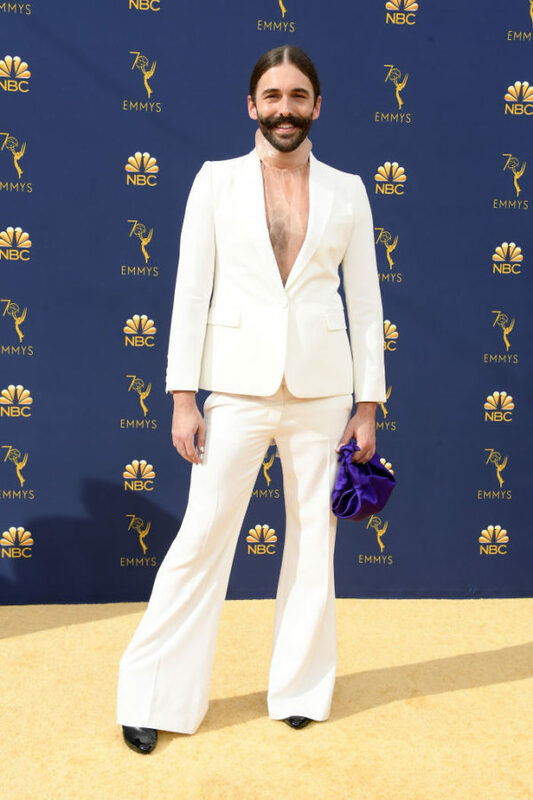 Queer Eye icon, Jonathan Van Ness, is making the case for a power suit (instead of a traditional dress!) on your big day. Let The Crown‘s Claire Foy inspire your dream dress. Her strapless gown is simple yet timeless.